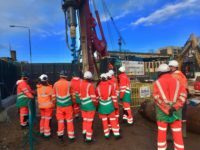 FK Lowry successfully delivered a £1.3M Rotary Bored Piling Scheme, consisting of Secant Piled Walls, Contiguous Piled Wall & Helical Screw Piling Project on the Western Section of the Thames Tideway Tunnel Project at Dormay St. Wandsworth on behalf of BAM Nuttall, Morgan Sindall & Balfour Beatty (BMB JV). 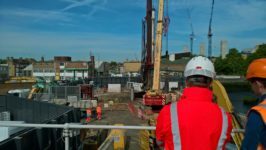 This was the third and final Thames Tideway Tunnel Scheme that FK Lowry secured and came on the back of a £2.2M Project at Hammersmith Pumping Station and £2.7M Scheme at Carnwath Rd, Fulham. 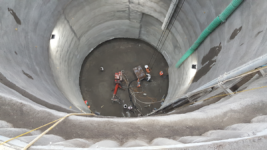 FK Lowry installed a total of 49 linear metres of hard/firm secant bored pile walls using 700mm diameter temporary casings to form a Combined Sewage Overflow (CSO) Shaft on the Project. The secant bored pile walls were designed and installed to create a water “cut-off” into the underlying London Clay to allow the construction of a 11m diameter circular shaft. FK Lowry also installed 26No. 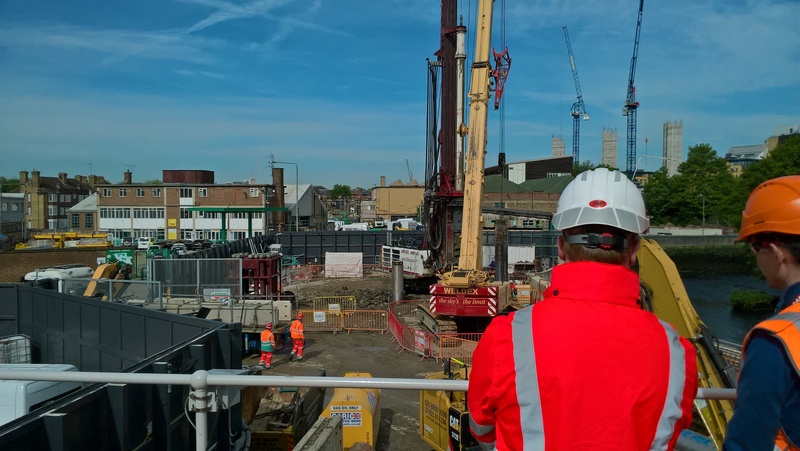 700mm OD Piles to form a Contiguous Bored Pile Wall for a new River Wall adjacent to Bell Lane Creek, a tributary to the nearby River Thames. 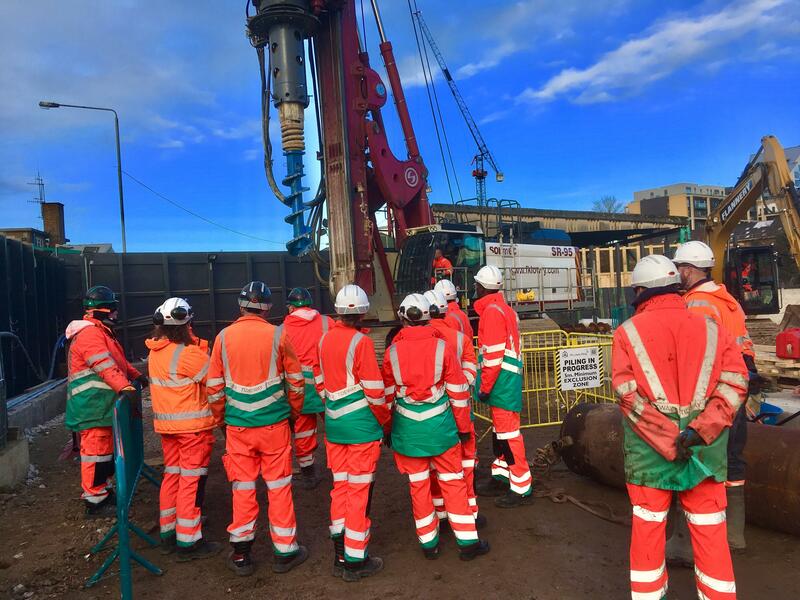 Due to stringent verticality tolerances, temporary casing was required to be installed over the full length of the Pile and FK Lowry utilized one of their Soilmec SR-95 Rotary Bored Piling Rigs to deliver the scheme. FK Lowry also installed 138 No. 194mm Diameter Helical Screw Piles to support a load transport platform on the scheme. FK Lowry successfully completed the sub-contract within their 13-week duration without Accident, Incident or Near-Miss.